Using state-of-the-art deep learning and neural networks over video technology. 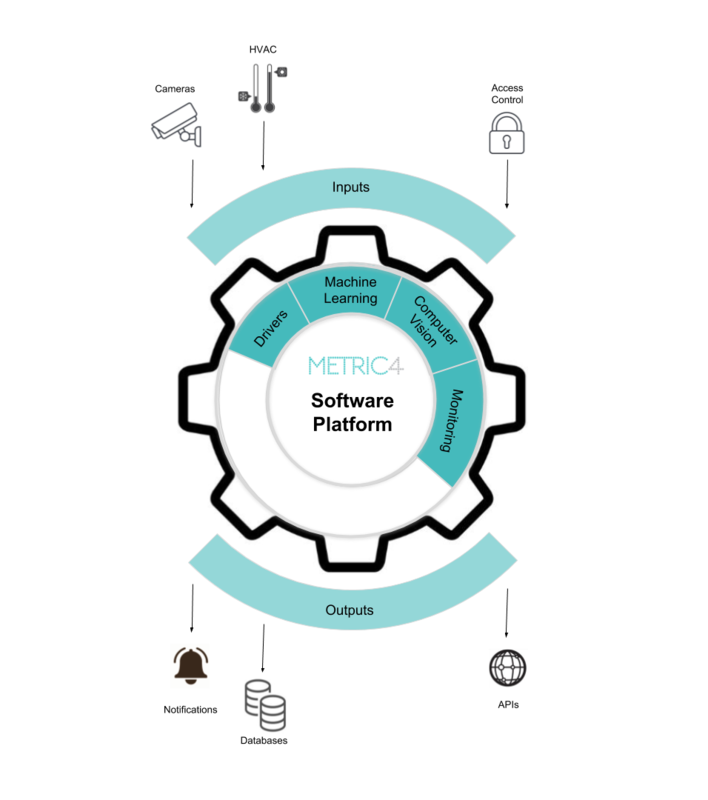 Our solution can gather data from existing equipment, such as security cameras, temperature sensors, CO2 sensors, light sensors, HVAC systems and a multitude of other sources. 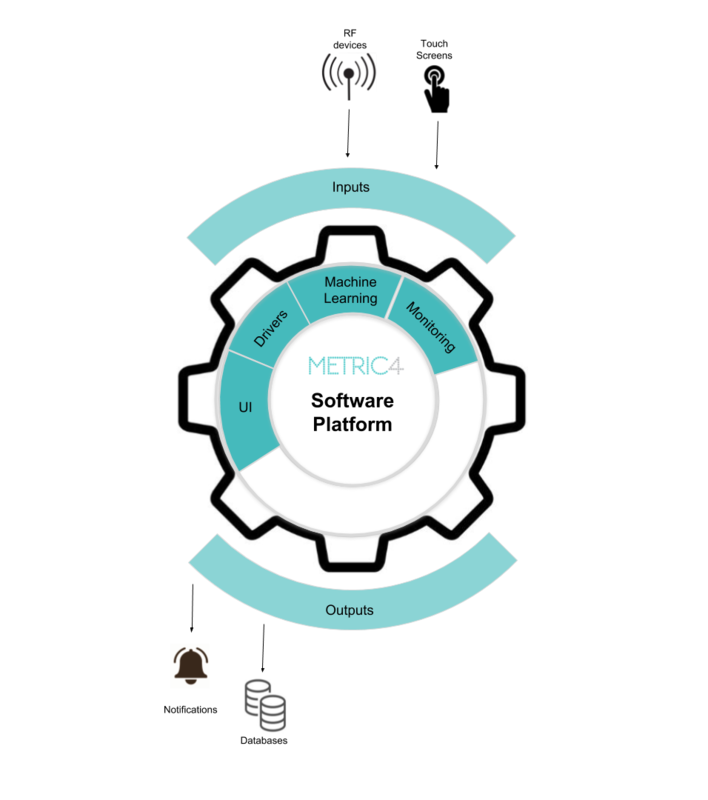 We can interface with MQTT, REST APIs and other IoT cloud platforms. If there is no existing equipment, or if it needs to be extended, we provide a setup using commercial off-the-shelf hardware programmed to run our software. They are capable of doing heavy processing locally, thereby reducing network needs and complying with data privacy concerns. The modular solution's flexibility allows us to combine machine learning and computer vision to detect anomalous conditions in a water stream or assess the filling level of sludge or debris in a container. Data can be available to the PLCs, while the customer can be notified of detected events. Clever use of a radio frequency setup can watch over shop floor personnel working with heavy and potentially dangerous machinery. We make virtual safe distances a reality, by warning endangered workers and by braking unsuspected forklifts. 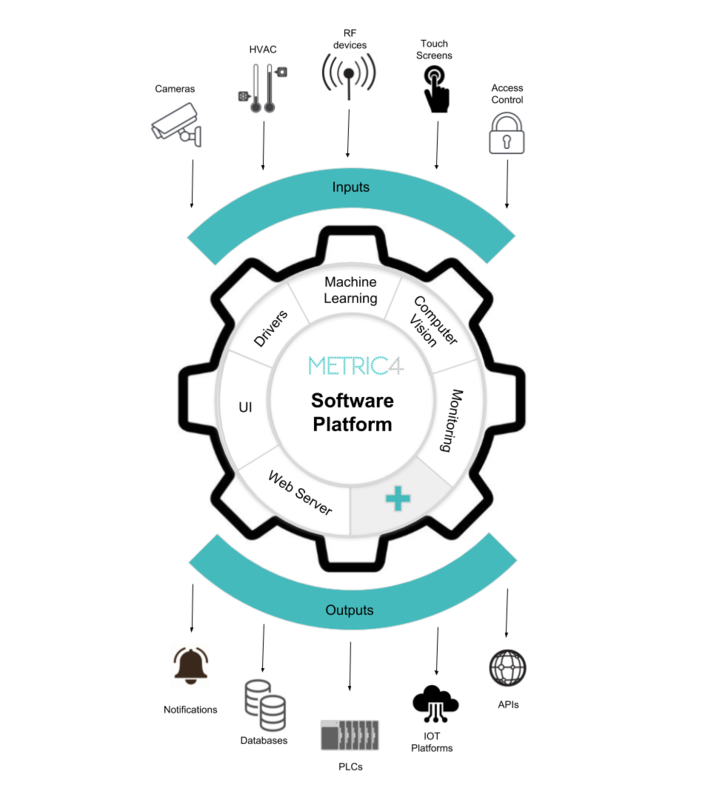 As an IoT enabler, our solution can transform unconnected devices into powerful tools for building management. 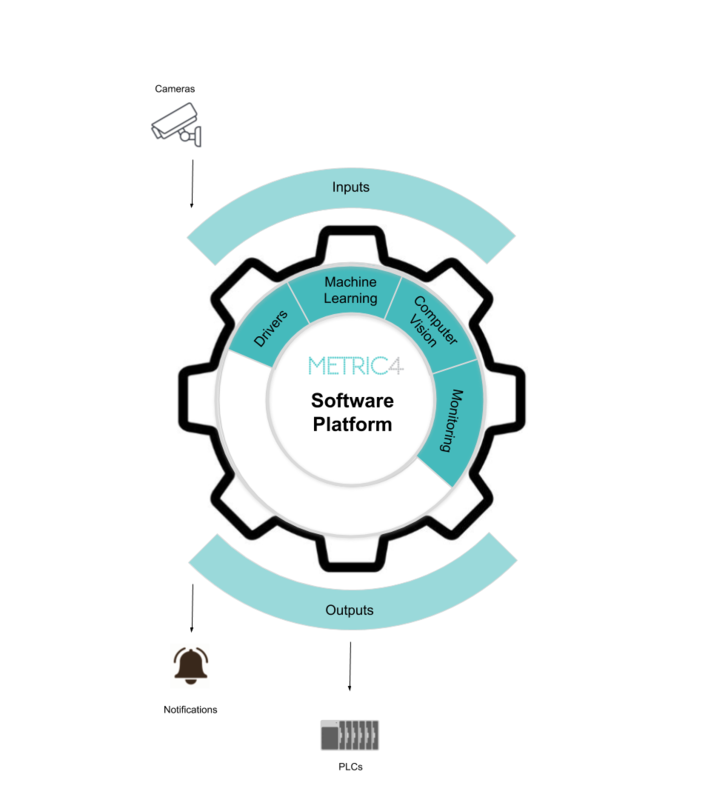 By wiring HVAC together with access control systems and CCTV, we open new possibilities for asset monitoring, efficient resource usage and anomaly detection.